The weed harvesting season has begun! 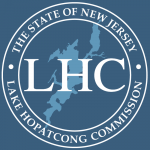 1 large harvester and 1 small harvester will be docked at Hopatcong State Park for training of staff. Training will include harvesting weeds in front of Hopatcong State Park, Clambake Point, Bedbug Island, Silver Springs, Landing Channel, South Side of Bertram’s Island, King’s Cove, Point Pleasant and Ingram’s Cove. 1 large harvester and 1 barge will be stationed at Lee’s County and harvesting weeds at Crescent Cove. 2 large harvesters will be stationed and harvesting weeds at Woodport. On Friday’s some weed harvesting operators focus on clean-up of floating weeds.